Top of the news is an upcoming conference/webinar to be held in Prince George that will examine the question: “Does care for hepatitis C in rural/remote areas differ from that in urban parts of our province, and if so, how?” On March 6th (11 am – noon), researchers from the BC Centre for Disease Control (BCCDC) will try to answer these questions. More news about treatment access in Ontario and Egypt, and updates on HCC, DAA treatment & coinfection as well as on diabetes and DAA treatment. 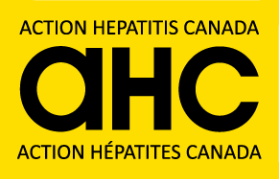 Better Public Access to New HepC Meds Announced in Canada: This week a broad spectrum of new hepatitis C medications have been approved by BC Pharmacare and the Ontario Drug Benefit Program (ODB). As well there will be an easing of access restrictions (lowering of fibrosis scarring criteria). Ontario will ease restrictions as of February 28, 2017 and BC will start easing them on March 21, 2017 but will only fully ease them in 2018. As well, there has been an update on the 86 -90 Class Action settlement with respect to the payout schedule. HCV & Heart Disease: More and more I am hearing that people who have just finished treatment for HCV have had a stroke! Our community really needs to know that hepatitis C is an independent risk factor for various kinds of heart disease: cerebrovascular events (strokes), and ischemic heart disease caused by atherosclerosis (plaque build-up in the arteries – particularly the coronary and carotid arteries, which can cause heart attack (coronary) and impeded blood flow to the brain (carotid). As well the systemic inflammatory response to HCV is also a cause of atrial fibrillation, which is in itself a major stroke risk. This week there is more on liver cancer: The much higher risk from HCV-related cirrhosis compared to alcohol-related cirrhosis; the fact that Toronto is a liver cancer hotspot – due to the high percentage of immigrants with HBV and HCV and the lack of Baby Boomer screening; and more questions about DAAs and liver cancer risk. Also in the news was information about HIV-HCV coinfection and reinfection rates among MSM. Not good news there.